Friendly, experienced, easy to understand engineers? Support tailored to your requirements and budget? Fortrix Ltd. deal with the computers of a diverse client base in East London and Essex. If you’ve got a problem, give us a call. Running a small or medium business? No problem, we can deal with between one and fifty computers. 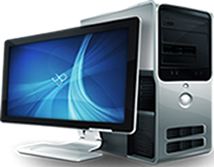 We’re Microsoft Specialists, and have been providing computer support for a number of years. Our modest prices allow us to offer you flexible comprehensive support solutions, tailored to your needs.Whether you require the guaranteed response times of a maintenance contract or ad hoc support when a problem occurs, we have a solution to support you. We strive to offer a service that is not only good, but one that you want to tell others about. For a Free IT assessment or an informal chat give us a call.